Robi Axiata Limited is a joint venture company between Axiata Group Berhad, Malaysia and NTT DOCOMO INC, Japan. It was formerly known as Telekom Malaysia International (Bangladesh) which commenced operations in Bangladesh in 1997 with the brand name AKTEL. On 28th March 2010, the service name was rebranded as ‘Robi’ and the company came to be known as Robi Axiata Limited. Robi is truly a people-oriented brand of Bangladesh. Robi, the people’s champion, is there for the people of Bangladesh, where they want and the way they want. Having the local tradition at its core, Robi marches ahead with innovation and creativity. To ensure leading-edge technology, Robi draws from the international expertise of Axiata and NTT DOCOMO INC. It supports 2G voice, CAMEL Phase II & III and GPRS/EDGE service with high speed internet connectivity. Its GSM service is based on a robust network architecture and cutting edge technology such as Intelligent Network (IN), which provides peace-of-mind solutions in terms of voice clarity, extensive nationwide network coverage and multiple global partners for international roaming. It has the widest International Roaming coverage in Bangladesh connecting 600 operators across more than 200 countries. Its customer centric solution includes value added services (VAS), quality customer care, easy access call centers, digital network security and flexible tariff rates. Axiata is an emerging leader in Asian telecommunications with significant presence in Malaysia, Indonesia, Sri Lanka, Bangladesh and Cambodia. In addition, the Malaysian grown holding company has strategic mobile and non-mobile telecommunications operations and investments in India, Singapore, Iran, Pakistan and Thailand. Axiata Group Berhad, including its subsidiaries and associates, has approximately 120 million mobile subscribers in Asia, and is listed on Malaysia’s stock exchange (Bursa Malaysia). NTT DOCOMO INC is the world’s leading mobile communications company and the largest mobile communications company in Japan. DOCOMO serves over 56 million customers, including 44 million people subscribing to FOMA™, launched as the world’s first 3G mobile service based on W-CDMA in 2001. DOCOMO also offers a wide variety of leading-edge mobile multimedia services, including i-mode™, the world’s most popular mobile e-mail/Internet service, used by 48 million people. With the addition of credit-card and other e-wallet functions, DOCOMO mobile phones have become highly versatile tools for daily life. With cutting edge technology and innovative services, DOCOMO is fast becoming a preferred lifestyle choice, continuously expanding its role in its users’ lives, growing globally throughout Asia, Europe and North America. NTT DOCOMO INC is listed on the Tokyo (9437), London (NDCM) and New York (DCM) stock exchanges. 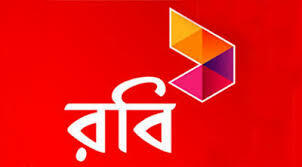 Robi launched its operations on the 15 November, 1997 in Dhaka and on 26 March, 1998 in Chittagong as Aktel. Its founding chairman is Late Mr. Zahiruddin Khan, an ex-commerce minister. Aktel was formed as a joint-venture between Telekom Malaysia and A.K. Khan Company. All along through its insception it was ranked as No.2 mobile operator and was placed far behind the industry leader GrameenPhone in terms of revenue and no. of subscribers. Aktel started investing heavily with funds from Telekom Malaysia (the majority stake owner) on expanding its network in 2001 but the investment was far too inadequate in comparison with GrameenPhone’s investment. Although customer base was increasing heavily its position remained at No.2. Unlike GrameenPhone, Aktel kept very low in marketing its brand. But from the end of 2004, Aktel spent heavily to market its brand all over the media, outdoor and other marketing mediums. It was a huge success and the Aktel brand became well established. Credit was given to the then Chief Operating Officer Mr. Vijay Watson who is believed to be the mastermind behind the change and success of Robi. In mid 2008 news broke out that A.K.Khan & Company was selling its 30% and Vodafone, etisalat and NTT DoCoMo were among the potential buyers. Mr. AK Shamsuddin Khan, Chairman A.K.Khan & Company and Mr. Salahuddin Kasem Khan, former Chairman of Aktel and Managing Director of A.K.Khan & Co Ltd represented the sellers After months of negotiation NTT DoCoMo sealed a deal with A.K.Khan & Company for US $ 350mln on June 2008. The deal was completed on September 19, 2008. Robi Axiata Limited employees hold themselves accountable to the following guiding Principles for the organization. 1. Being respectful towards everyone. 2. Being trustworthy by action. Being passionate and creative in all we do. 3. Keeping things simple in the way we do things. 4. Being ethical and transparent. 5. Demonstrating individual and collective ownership. 6. Practicing an open culture in communication and interaction. Robi offers an array of different packages. In addition to offering the fundamental pre-paid and post-paid mobile services, it offers a wide range of value-added products and services such as, SMS, GPRS, EDGE, international roaming, SMS banking, Caller Ring Back Tone, MMS, Voice Greetings, Call Blocking on 4 August 2008, which give subscriber to control which call he or she receive or not and Bengali SMS. Robi has got the widest international roaming coverage among all the operators in Bangladesh. Robi has 20 Customer Care Centersand 430 Robi Care Points in 64 districts all over the country. Robi has over 25,000 retail selling points along with 100,000 voucher sales point all over Bangladesh. Robi has been offering scholarships to three Bangladeshi students every year for bachelor courses in engineering, information technology and business administration since 1998 to study at Multimedia University in Malaysia. It is the founding member of Chittagong Skills Development Center (CSDC) that is offering technical training and business management education through its strategic partnership with Penang Skill Development Center (PSDC) of Malaysia and its internal members. In 2007 Robi received Standard Chartered-Financial Express Corporate Social Responsibility (CSR) Award 2006 for their significant contributions to CSR and philanthropic activities. Financial Mirror Businessmen Award Given by the national weekly Tabloid business magazine. Deshbandhu C. R. Das Gold Medal For contribution to telecom sector in Bangladesh. Beatification Award for exceptional contribution to the Dhaka Metropolitan city from Prime Minister Office on 13th SAARC Summit. Standard Chartered – Financial Express Corporate Social Responsibility (CSR) Awards 2006 For contribution in Education, Primary Health, poverty alleviation and ecological impact. Arthokontho Business Award 2006 For better telecom service provider in Bangladesh. Financial Mirror & Robintex Business award 2006 For its excellence in service, corporate social responsibilities activities throughout Bangladesh. Desher Kagoj Business Award 2006 For Corporate Social Responsibilities activities. TeleLink Telecommunication Award 2005 for its excellence in service for the year 2005.